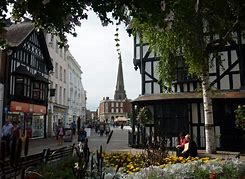 Some of our Members may be interested in responding to Herefordshire Council’s consultation on development plans for the Hereford City area. The Hereford Area Plan (HAP) will set out detailed proposals to ensure the delivery of the targets for the city in the adopted Core Strategy. It will include policies & proposals for growth in the city, including housing, employment and urban regeneration. The plan must also protect and enhance its attractive built and natural environment, providing for its current and future community needs. The Core Strategy has identified four strategic sites for housing and employment land: Three Elms, Holmer West, Lower Bullingham and the City Centre area. It is the task of the HAP to identify further site allocations to aid the delivery of the full target of new housing and employment land. 22 & 23 August from 4pm to 7pm at the Courtyard Theatre, Hereford. From 24 August to 5 October 2018, the exhibition will move to Hereford Library, Broad Street, Hereford, during library open hours. For more details about the consultation and to give your views on potential new sites, please go to the website. « HGN receives new funding award!